I’d say I’m a beautiful but humble, high-spirited, devoted, and disciplined but jovial personality. Don’t be surprised if you catch me picking my nose, I’m praying to be delivered from that habit. I don’t do it often in public though. ‘Laughs’. I enjoy putting smiles on people’s faces, listening and counseling. I really do love impacting lives. I’m fun to be with and can dance pretty well, only to good songs though. 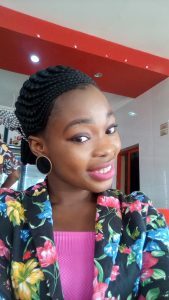 I’m simply Elizabeth Kazeem. I was born into a family of eight, my parents included. Don’t judge my parents until you meet them, they love children. I am a Nigerian, and was opportune to grow in that beautiful land flowing with milk and honey. My family was such that studying, doing house chores, and proving each day that you’re disciplined was far appreciated than a gift of many hampers. Being bred in a family where so much love abound gave room for development of traits and talents. I took to reading since I could spell my name correctly. I loved reading so much that I could exchange my dinner for a good book to read. I don’t have any pet yet. But if I’d get one tomorrow, I would get a parrot, then I’d be able to share funny stories of how it mimicked every one around the house. I started writing at around 10yrs. I began with illustrations, you know, the childish drawings you see in children friendly books. I’d illustrate a whole story and then search for someone to narrate it to. However, I graduated to telling stories. Whenever I had the opportunity to share a story with friends, I didn’t narrate books I’ve read, except on few occasions, I rather gave my own fiction. They’d always enjoyed it anyway. I started real time writing in senior school.I wrote my first published book in 2015. I actually wasn’t thinking of writing a novel at that point. I merely posted a part of the first chapter on my blog as a ‘share and care’ stuff, posts you read and drop your opinion about. But it turned out people were expecting more. One of my readers, my number two fan—God is my number one, He’s interested in all I do— encouraged me to build on it and finish it, which I then did. Before I finished it people were already telling its tale, which geared me on to finishing it. When I finally dropped my pen, I realized I had finished “Thorns and Roses”. Joel Osteen, Joyce Meyer, Lisa Jewel, Karen Kingsbury, and Francine Rivers, to mention but a few. My favourite genre include Inspirational nonfiction, Romance, Thrillers, Women fiction. Hundred percent, God inspires me. All I need to do is pray and take a pen. My loved ones and my fans do a great job to cheer me on. Centred on three major people who must survive the pricking of the thorns to enjoy the beauty of the rose. Melissa, an orphaned young woman with a terrible health challenge, Leukemia, who was jilted and abandoned. Despite the tugging responsibilities on her shoulders, she quitted her job as the manager demanded an amorous affair with her. She fell and was covered in thorns, which prevented her from reaching out to the one, who loved her. She must overcome myriad of thorns if she must pluck roses. Would she really survive? Mark, a handsome gentleman, the type you see on the cover of fashion magazine. He was a repented Casanova who was later on being played. Despite his devotion for the one he loved, he was not accepted by her. 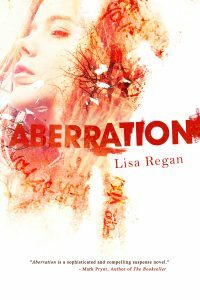 Would he give up after unraveling a scary secret of hers? Tara, the young virtuous girl, hated for wanting to keep her dignity and purity. Despite her determination to stay unspotted, she was abused, and developed a life threatening consequence. Would she survive or give in to the cold hands of death? Many more awaits you in the intriguing, suspenseful and gripping book, “Thorns and roses”. Who is kidnapping babies in Pine Hollow Arkansas? Is it Leslie Richards, the new woman in town and a damn Yankee? Corrupt Sheriff Bates decides maybe it is, and has her arrested, despite thin circumstantial evidence. Bates has to arrest someone before the mob bosses from Chicago come down for a big meeting in Hot Springs. The mob rules Hot Springs in 1961. And they own Sheriff Bates. Leslie has come to Pine Hollow from New York with her daughter to escape secrets from her past and a broken relationship with Ronald, the man she thought she could love forever. She soon discovers that there is little peace for her in Pine Hollow. Can she find the real kidnapper before she is locked away for good? When Ronald comes from New York to put their love back together, will it work? Is there time? With over 100 five-star reviews, Boxes For Beds is available in paperback, electronic versions for all readers, and as an audio book. 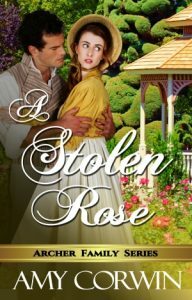 Eleanor Parkhurst is determined to get in the way of heart-breaker Nate Naverly seducing her sweet cousin Rose. Getting Nate to switch his attention to herself seemed like a good plan, but Ellie didn’t foresee that she might have to protect her own heart from his schemes as well. Midnight meetings, fighting or kissing, it’s all part of the fun of flirting. 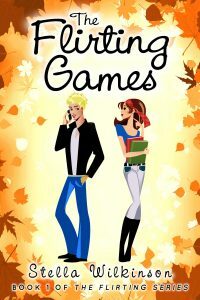 Ellie soon discovers that boys are more complicated than classes, and you have to play the game well or you might just get played! Inside the walls of a modern-day Roman Catholic monastery, 21-year-old Cody Johnson is trying to fit in, even though something within him is trying desperately to come out. Tackling a variety of issues from sexuality and depression to temptation and young love, Outside In is a nonstop adventure filled with twists and turns. Never before has the struggle between sacred vows and secret desires of the flesh been so personally felt or so viscerally explored. Cody is a young monk who hopes to avoid any trouble with his Novice Master, but while lying in bed one night, he hears a sound he never in a million years expected to hear inside a monastery. Two other monks have just come back from a walk, and the kiss young Cody overhears from the hallway awakens something deep inside him, a part of him he thought he had vowed away forever. 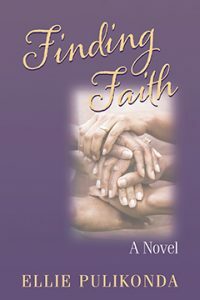 The provocative author of the phycological thriller, “Split Second.” Ellie Pulikonda’s new novel titled; “Finding Faith” is Three women, each caught in circumstances which limit her freedom to be, to act, to live as she chooses. Each reaches out tentatively, only to fall back in anger and fear. Despair is their constant companion. Helping each other may be the only hope for each of them but their tentative bond is threatened by their fear. Trust is an elusive and alien concept to each. Moments, when they are in accord are rare but they do happen, perhaps giving them a glimmer of the hope and the will they need, to keep trying. 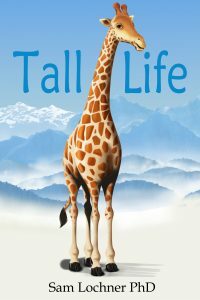 This is a book for tall people, those who relate to them, and anyone interested in height in general. Being tall coincides with considerable professional, athletic, and social benefits. Yet there are also some problems, and these raise some questions. For instance, if longer levers and more cells really are behind increased risk of injuries and cancer, then how is it that giraffes get by? And why is it that society reveres tall stature but then compromises our safety with cramped cars and other things? And, as tall women might be pondering, where have all the tall, dark, and handsome men gone? Lastly, what can be done about all this? These questions and more will all be answered by a tall protagonist over eight chapters: Evolution, Scaling, Spine, Manufactured, Ergonomics, Growth, Longevity, and Society. When the Earl of Wraysbury rescues a young woman from a carriage accident, he can’t resist her laughing eyes and wry sense of humor, even though their families have been locked in a feud for generations. Anemone may be achingly lonely but she’s loyal to her family. When she wakes up after an accident in the strong arms of a handsome stranger, she’s immediately drawn to him, and appalled when she discovers he’s her family’s sworn enemy, the Earl of Wraysbury. Neither Anemone nor the earl is prepared for the flaring attraction they feel, or for the escalation of the war between their families when a 40-year-old mystery triggers accusations of murder. 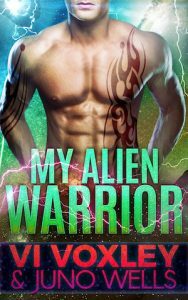 Loyalty and the threat of a dangerous duel are destined to tear the lonely lovers apart unless they are willing to defy their families and take a chance on love. I was born and raised in the town of Northwich in the north west of England. It is a small town that at the time had one large industry, ICI, that employed most people in the town in one capacity or another. I actually lived in a village about 3 miles outside the town. The village is called Davenham. There was (and still is) quite a lot of countryside around the village and I had a good childhood roaming the fields and woods with my friends. We climbed trees, picked bluebells (now forbidden), dammed streams, got wet, stung, grazed our knees and all in all had a good time. When I got older, my friends and I ventured further afield on our bikes and went on hikes. We lit fires and cooked food. Probably not very safe and hygeinic, but we lived and didn’t burn anything down. I trained as a teacher in Manchester. I loved the student life. I continued my love of hiking by joining the Hinkin Club where I met my husband. We hiked in Yorkshire, Lancashire and Derbyshire over the moorland and hills. In Manchester I also increased my love for Manchester United, and football in general. I’m really enjoying Euro 2016. My second team is France, having had a second home in Brittany for 15 years until 2008. I have 2 children, a girl and a boy, and 3 grandchildren whom I love to spend time with. I now live in East Sussex with my husband and enloy walking on the Downs. My other hobbies include a variety of crafts and listening to music. I did used to play the piano and violin, but that had long lapsed. I have always loved books, even when I was a tiny tot. I can’t remember a time when I didn’t like them. I learned to read before I went to school and haven’t stopped since. I hate not to have a book with me. I now carry a number around on my ipad. Although it isn’t the same as a ‘real’ book, it’s much more convenient when travelling. My mother once said that when I had my head in a book, it was a waste of time talking to me as I wouldn’t hear! I like a number of authors. Of the classical ones, I like the Brontes and Jane Austen. I recently read the Great Gatsby and enjoyed that, but I must admit I’m a bit ignorant of the American authors. I have some on my ipad to try to remedy that. My favourite genres are Fantasy and Historical Fiction. I enjoyed reading the Dragonlace Saga by Weiss and Hickman, and of course, George R.R. Martin, whom I discovered long before the TV series, I hasten to add. I also enjoy Brandon Sanderson and Robert Jordan. 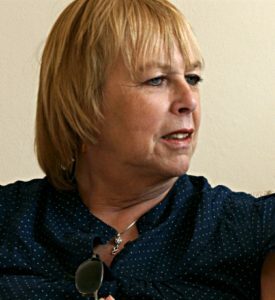 In historical fiction I like Phillipa Gregory. 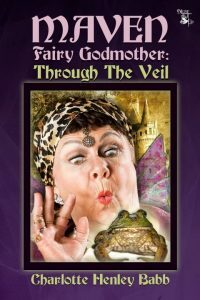 My latest book is currently undergoing editing at the publisher. It is the second part of a series called The Wolves of Vimar. I’ll tell you a little about the first part, The Wolf Pack. It developed from a Dungeons and Dragons scenario I wrote for a club I ran. I thought it might make a good story and so I began writing. The first draft took me a couple of years as I was still teaching at the time and wrote mainly in the summer holidays. I felt a great satisfaction when it was finished. What I thought would be one book turned inot at least 4, possibly 5. Carthinal, an apprentice mage, was excited to be travelling to Hambara to take the tests that would end his apprenticeship. Little did he know how his life was about to change in many ways. Firstly, there was a flash flood that took away the caravan he and his master, Mabryl, had been travelling with. This happens before the book starts. Mabryl dies of his injuries and so Carthinal and three people he met on the way, Asphodel, an elven healer, Basalt, a dwarf and Fero, a ranger from lands far to the south. Once in Hambara, after the tests, the four are given the task of finding the long lost sword that belonged to the legendary King Sauvern. They are joined by four others on the quest and meet with great dangers and each has to face up to their innermost fears. All of the companions have arrived at where they are by some act of defiance. They are all individuals, but somehow meld together, like a wolf pack. There are sparks that fly every so often. Carthinal has a quick temper, Basalt is stubborn, Asphodel will follow her conscience in spite of orders to the contrary. She is almost confined to an enclosed order of clerics because of this. Fero disobeyed his father to become a ranger and was disowned. Equally, the other four also defied some authority. The quest changes them all, but the land of Grosmer is in great danger.